Available on Nick Drake Covers. Which will you go for? Which will you love? Which will you choose from from the stars above? Which will you answer? Which will you call? Which will you take for for your one and all? Tell me now which will you love the best? Which do you dance for? Which do you shine? Which will you hope for? Which can it be? Which do you take now if you won't take me? 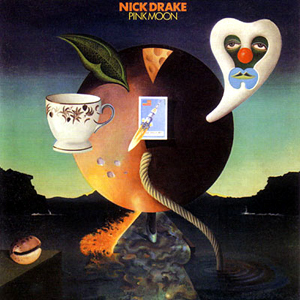 Beck, in December 2005, put up three covers of Nick Drake songs on his website (including "Pink Moon" and "Parasite"). Beck's version of "Which Will," from Drake's album Pink Moon is, well, amazing. Beck's guitar playing is impressive and expressive, his voice filled with emotion. The arrangement is not all that different from Drake's original, but Beck, I think, was not trying to bring himself into these covers. Just try them, feel them, learn what makes these great songs work, have fun. And to that end, all three together made an amazing tribute to one of his favorite songwriters. This has not been played live. For more info about Nick Drake, see here.